The regional offices and production facilities are based in the company’s iconic Anglia House, home since its inception in 1959, as well as a second building owned by the company. Throughout its history, the heritage building has been home to the prestigious media house. The building continues to broadcast news programs as well as production The exterior of the building also doubled as a ‘Police Station’ in the Alan Partridge comedy film set in Norwich, Alpha Papa. 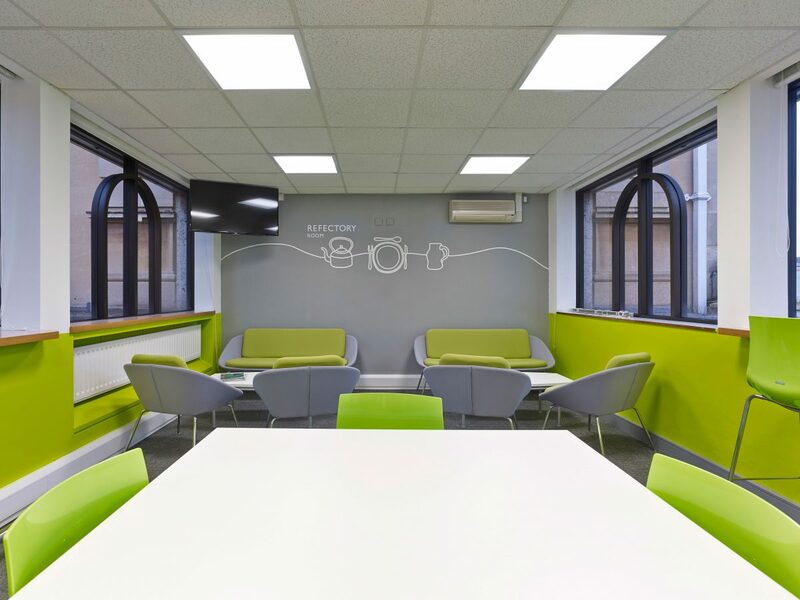 Following a major refurbishment to the building, ITV required AV systems to subtly, but sufficiently reflect the brand of a national broadcaster. 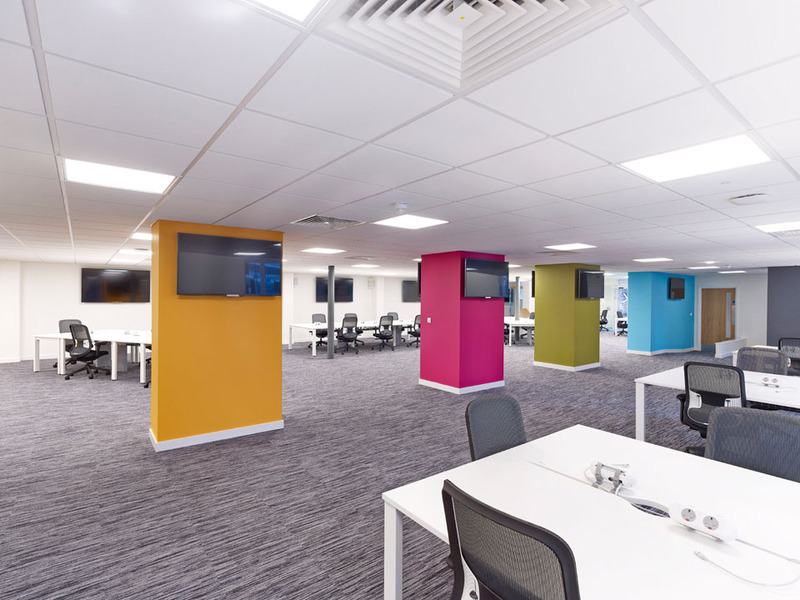 These included the delivery of large format displays for the news room and other studios within Anglia House. In addition, the project incorporated works to Townsend House, which used to be part of ITV Television. 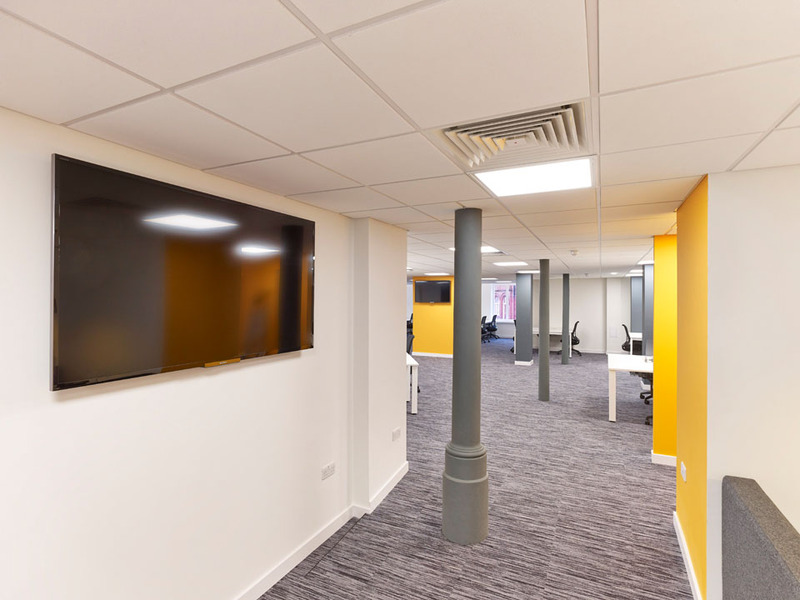 The building has recently been renovated into offices with a large reception area and 3 storeys of office spaces, which required AV infrastructure to meet the needs of the building. 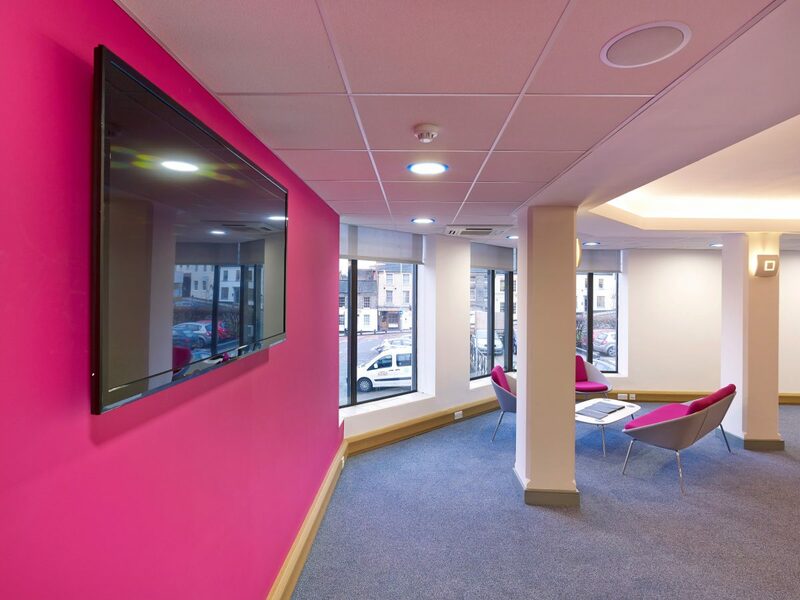 Appointed by ITV Broadcasting, we worked with ITV and their appointed contractors, Pentaco Construction, to install the display systems and integration with Exterity IPTV network, as well as with tenants, The NPS Group, to meet very different requirements for their leased offices. 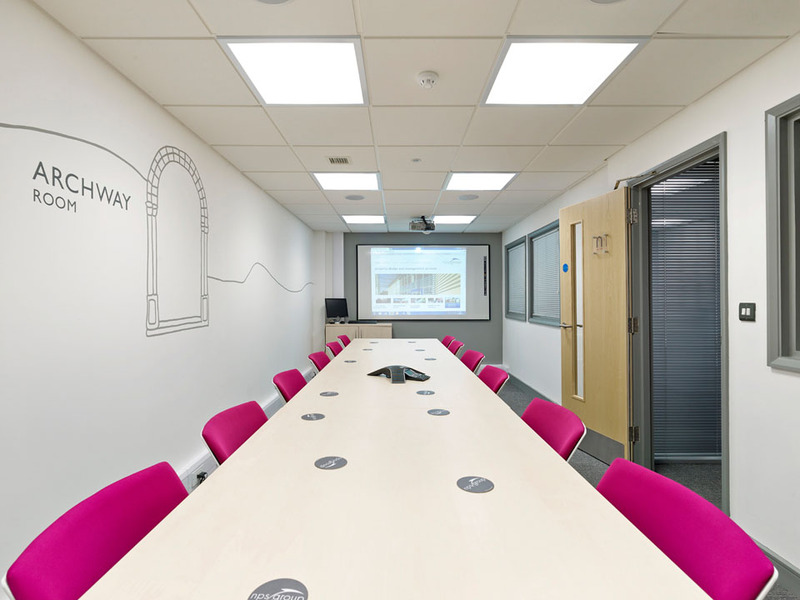 Following comprehensive appraisals of the requirement and the space itself, the solution was found in a blend of AV hardware, comprising 9×65″ and 9×47″ Sony commercial broadcast screens and audio delivered via Bose audio systems. The system was integrated with a bespoke Exterity IPTV system managed by ITV centrally, to allow high impact TV and video to be viewed on screen or via the existing IP network to an unlimited number of end users, displaying a mixture of TV, Twitter feeds, web updates and international news channels. 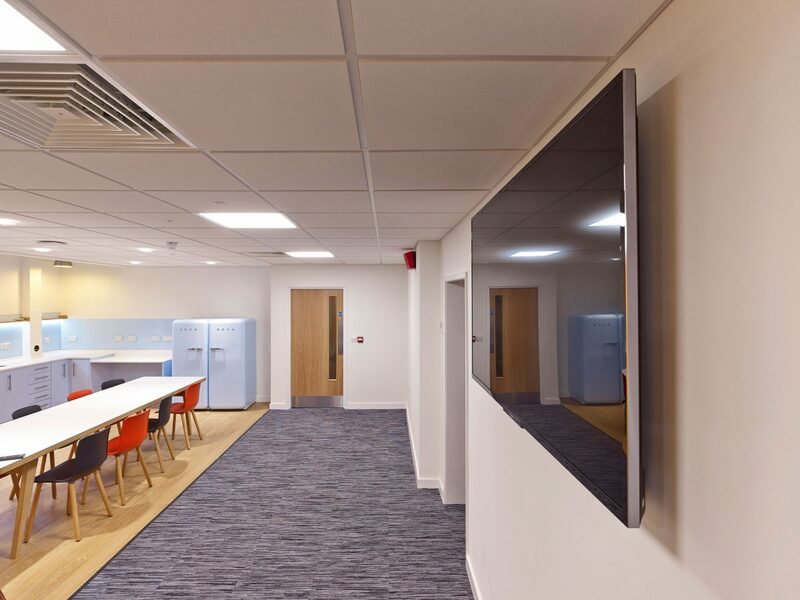 The project within Townsend House required the office space solutions for their tenant, the NPS Group, including digital signage at the reception area for the entire building. 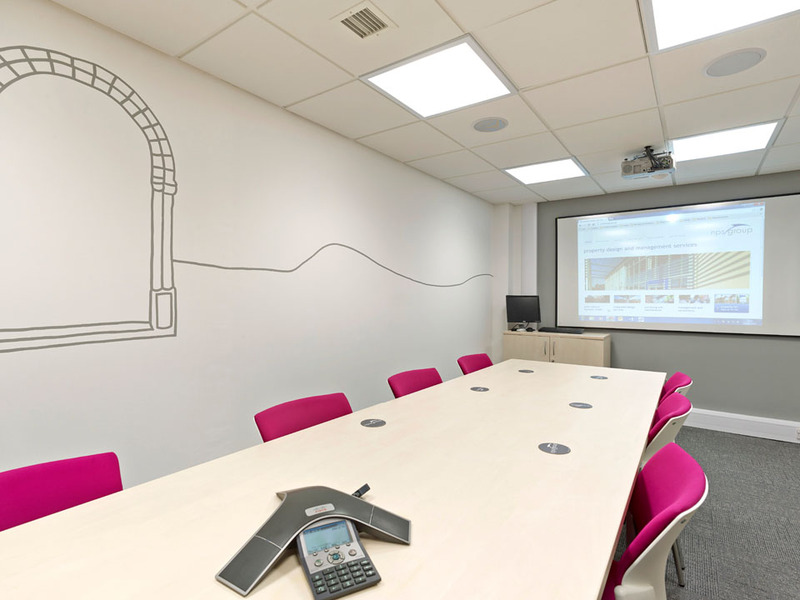 The Archway Room, which offers tenants a board room, was equipped with a 96″ Interactive Whiteboard, ceiling mounted short throw projector with a local client PC complete with auxiliary, digital and analogue inputs. 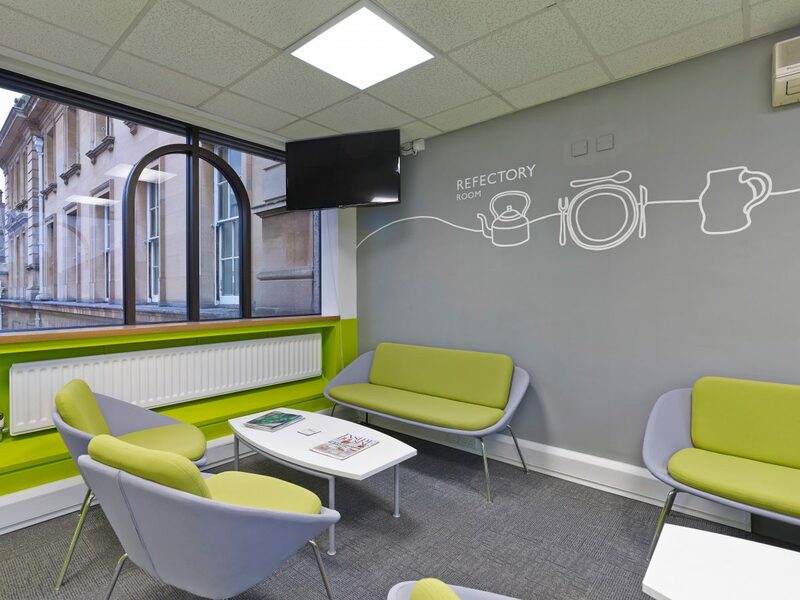 Tenants are also offered catering and break out spaces, called The Refectory, which was equipped with ceiling mounted commercial LED screens. The project was turned around within a very short lead-time; completed on time and within budget at as required by the client to start in time for a new year in broadcasting. The entire installation is supported by a Snelling 3 year managed service contract.